Our State of the Art Whole House Water Filtration System with 14 stages - a significant upgrade over Multi-Media and Carbon filters. 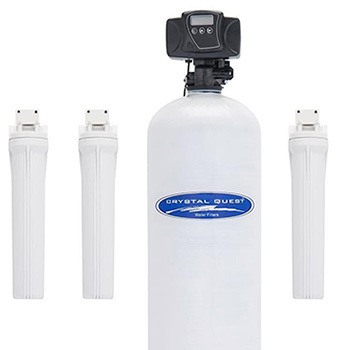 This unit is our flagship product, delivering healthy, better-tasting water for your family to any faucet in your home. 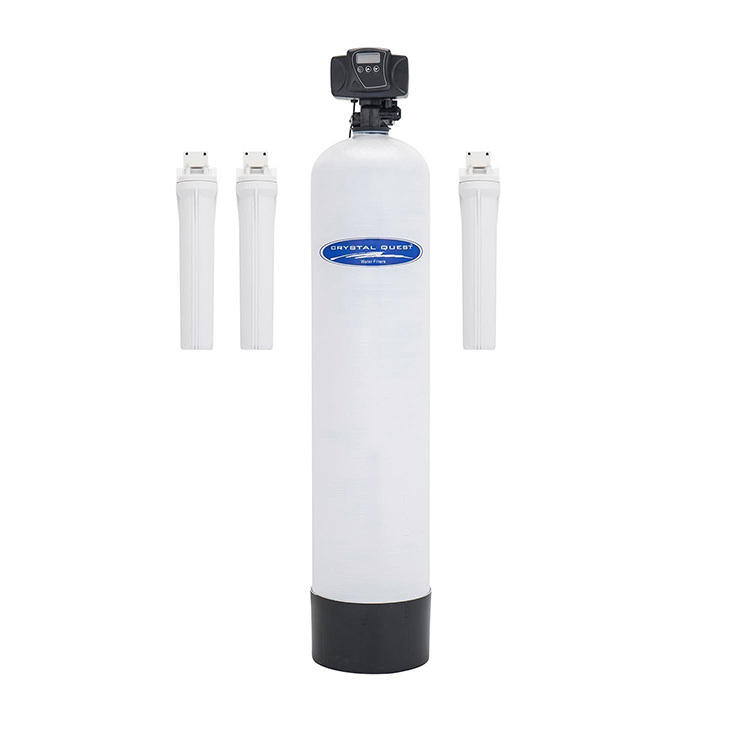 Stages of filtration is distributed into 3 20"x2.5" filter cartridges and 1 full sized tank with a multi-stage process. 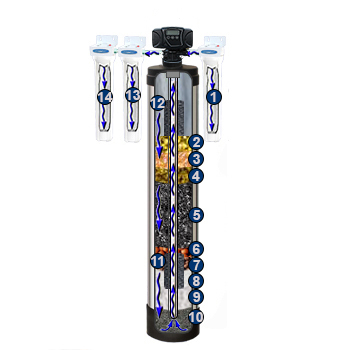 The long, 20" cartridges are used for pre- and post filtration to help the main tank. Sediment pre- filter, Carbon Block and the Ultrafiltration membrane post -filters which helps removes a large number of contaminants known to be present in city or well water. 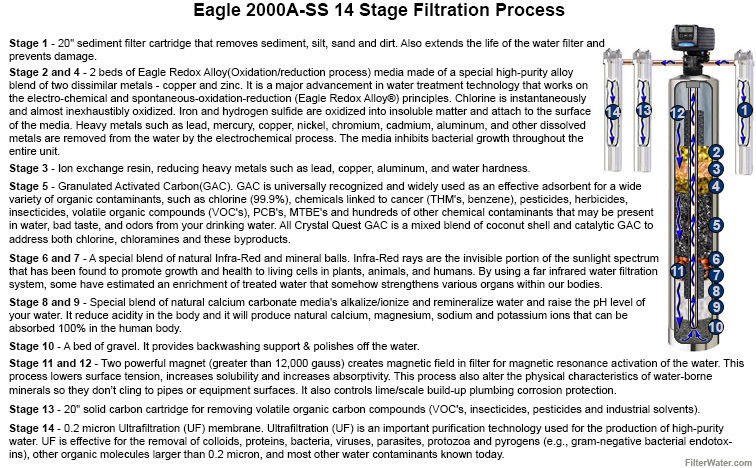 The Eagle Water Filtration system (formerly Eagle 2000A-FG Whole House Water Purification System) is engineered for maximum filtration and maximum performance with minimum maintenance. The tank is installed with an advanced programmable controller for an automatic cleaning. The Electronic Control Valve with LED display is configurable to periodically automatically wash out trapped contaminants within the filter bed down the drain. Great for home, office or light commercial use! 2 product variants to suit your needs. Simple, User friendly, easy to program and dependable. 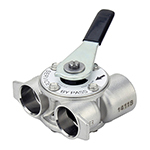 Fleck Pentair Control valve - major brand with 5 year warranty. Automatic and programmable self-backwashing control system. Easy to exchange 20" filters. Media can also be replaced. 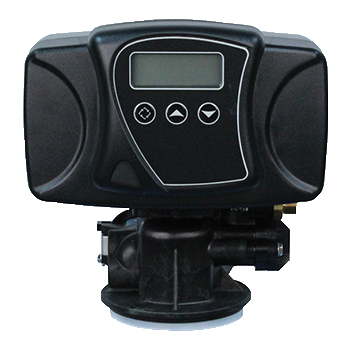 Controller: Solid state microprocessor with LED display Electronics control valve. Please specify water line diameter at Checkout! - The system connects to the main line of your home. 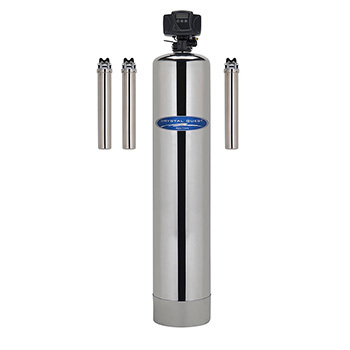 - Requires only periodic backwash to keep unit in top condition.- Fully shipped with filtration media already in the tank. 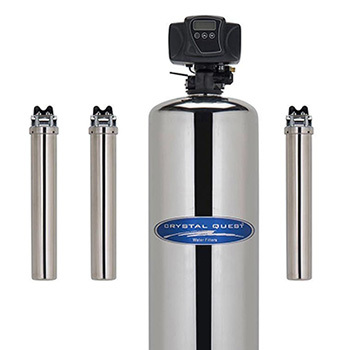 - 10 year Warranty on Poly resin or Stainless tank. 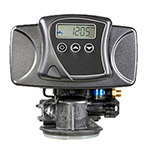 - 5 year warranty on Computer Monitored control valves. - Manufactured from FDA-compliant materials.